M. Bison is most definitely the villain of the Street Fighter franchise. 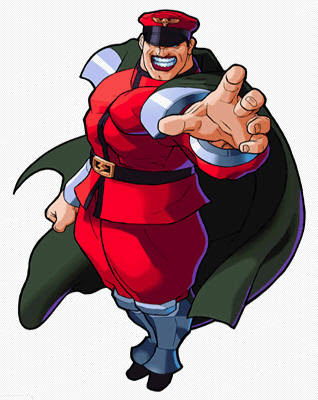 The thing is M. Bison is really a powerful character and really evil. He has been in almost every version of the franchise. My favorite move he has is called the "Psycho Crusher". He glows and flies across the screen and knocks his opponent. In Japan the character is called "Vega" so some versions in MUGEN are called "Vega". 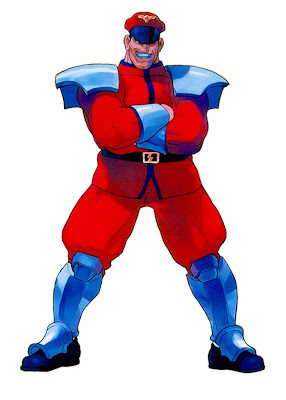 Apparently the name change took place because in Japan the boxer character was named "M. Bison" kinda like "Mike Tyson" so Capcom change things around in the United States. M. Bison became Balrog. Balrog became Vega. Vega became M. Bison. I have found several versions of the character in MUGEN. Thank-you for posting these up. M. Bison is one of my favorite fighting generation characters.